Harper Perennial Modern Classics, 9780061148507, 544pp. 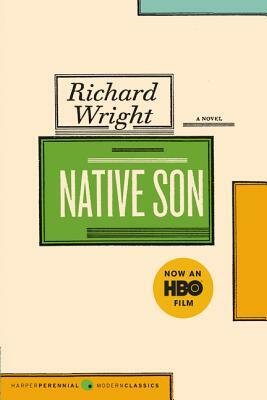 “If one had to identify the single most influential shaping force in modern Black literary history, one would probably have to point to Wright and the publication of Native Son.” – Henry Louis Gates Jr.
Set in Chicago in the 1930s, Richard Wright's powerful novel is an unsparing reflection on the poverty and feelings of hopelessness experienced by people in inner cities across the country and of what it means to be black in America. This edition--the restored text of Native Son established by the Library of America--also includes an essay by Wright titled, How "Bigger" was Born, along with notes on the text.